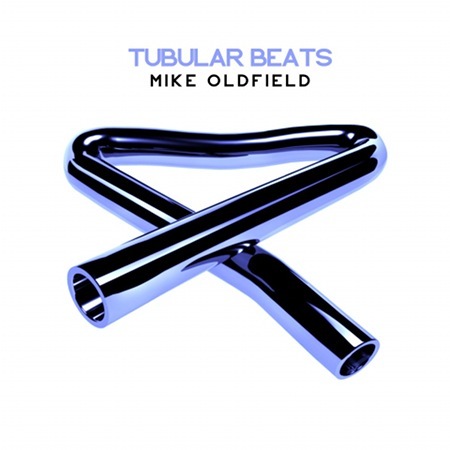 Tubular Beats, a new album of remixes of some of Mike's tracks by Mike and York (Torsten Stenzel) is scheduled for release on February 1st 2013. Unlike with previous club mixes, the album is a true two-sided collaboration between Mike and Torsten, making use of parts from the original multitrack tapes as well as new parts played by Mike. It also features Tarja Turunen on the track 'Never Too far'. The album will be released by Edel in Germany and through other partners, but it won't released in the UK initially (that decision will come down to Mercury/Universal). I'm definitely looking forward to this release, but the artwork is again dissapointing. Happy to see its a true Collaboration here...Sounds interesting. Oh, well. I'll by it in any case and it will be interesting at least and hopefully enjoyable as well. I'm sure it will be better than "Tubular Vibes" for sure! That Ommadawn remix...I'd love to hear that! It sounds interesting, a true collaboration, legendary songs included, and the presence of a famous and talented singer with Tarja Turunen. It promises for the future and the new album ! Well if the remixes on the remastered series are anything to go by then this could be very good. Not to mention that I loved the recent York/Oldfield collaboration 'Islanders'. The title and sleeve though are hugely disappointing. I love Tubular Bells, we all do, but I didn't want to see yet another sleeve flogging that particular dead horse. Not for my sake but for the sake of all those confused music lovers just getting into Oldfield who don't know the territory. Once my eyes are closed and my headphones are on I won't care about the title and sleeve. Oh, no. Can't believe the title and the cover. looking forward to the Far above the clouds and ommadawn mix.. i think they will be great! the cover is nothing special..i dont think either, but i dont think QE2 has the best cover, but i love the music.. same with Vangelis's Direct album.. horrible cover but music great.. i love Yorks stuff.. so i trust him. QE2 cover is brilliant: minimalistic, simple and... original!!! Sure there could be other possibilities for the design, cover and title. I think it must be brilliant tho' about the music. The theme 'Highlanders' was very fine. Tubular Bells, TB 2, TB 3, TB 2003, even The Millennium Bell were critizised by people that don't know or appreciate Mike's music. But they are wonderful creative variations of a really specific musical idea. However, this ends making those people right. As sad as i feel it to be. I see York has written songs with Chris Rea, so he clearly likes guitar players, so this hook up with Mike might be ok. I bought the whole Islanders Album and i like it as chillout music. York works many times with nice guitar parts above his electronic layers. The album is a longplayer, and contains many different kinds of musical ideas, no track sounds like another. I dont know his work as a remix musician, but for so long i think Mike has done a well choice for this kind of project. The track selection for the beats album sounds not too bad. A completely new and hopefully better remix of Northstar could sound really great. And "Let there be light" .... wow i hope for some totaly chilled stuff. One important aspect , is the question, how much Mike was really involved in the whole thing. It would be great, if he has recorded additional guitar parts for it. Are there more new vocal parts? Maybe they used different recorded material, than that what we know from the original albums. All these possibilities make the whole thing a bit more exciting for me. But we know Mike well enough, and so i try to be carefull with my hopes. For the case, that this project is more dissappointing we have hopefully next year another joker with a really new studio album, which should be a totally different thing. Cant believe that we now, after all these years of Bahama silence, have now the situation, that we could await two new albums with the name Mike Oldfield on the cover. Wooooow!!!! Well, in the case of the The Millenium Bell I think it was much critizised by people who know and appreciate Mike's music. I doubt few others ever got to hear it. I would love to see Boards of Canada remix some of Oldfield's work. are you serious ? ... well i would like too !!! One important aspect , is the question, how much Mike was really involved in the whole thing. It would be great, if he has recorded additional guitar parts for it. I'm sure there'll be more from Mike and Torsten soon about this, but I can give at least a bit of background on the whole thing, because Torsten was quite keen to explain it to me. Torsten had originally wanted to get Mike to guest on one of his tracks (which is the path that led to Islanders). One of his contacts in Berlin mentioned that Mike was living in the Bahamas and suggested he should go and visit. The pair of them hit it off and, at some point, Mike revealed that he'd always wanted to work with someone on some club mixes where he could have more creative control and where more of his original ideas would be used (as opposed to the approach of some remixers where they keep one tiny little part and build up a totally unrelated track out of it). So, according to Torsten, Mike's been involved very closely - including playing some new guitar parts. There's a slightly sad story behind some of that, as Let There Be Light needed new guitar parts because the original multitrack tape has been lost (anyone who'd been hoping for a 5.1 remix of The Songs of Distant Earth at some point is unfortunately out of luck). I get the sense that the Torsten's been a big driving force behind the project (partly the reason why it's not being released on Mercury/Universal - he persuaded them to license the rights to him), but Mike is definitely across everything and has done more than just hand over the master tapes and say "Here you go, have fun". The proof is ultimately in the pudding, of course!